Serving Professional Contractors Since 1891 in Ames, Iowa | H.L. Munn Lumber Co.
At H.L. Munn Lumber Company, our job is to help make our customers more successful. Dedicated to serving only the professional contractor, we provide quality products, professional services and customer attention second to none. We do this with customer specific sales teams, who first work to understand the customer's individual needs and then develop customized programs for the builder in cost, schedule and project management. We offer the leading brands in windows and doors such as Andersen, Marvin, Jeld-Wen, Silverline, and Therma-Tru. We feature quality decking and railing from the industry's top brands. Munn Lumber is your one stop resource for all of your roofing, siding, soffit, fascia products and accessories. New home and commercial construction starts with us. 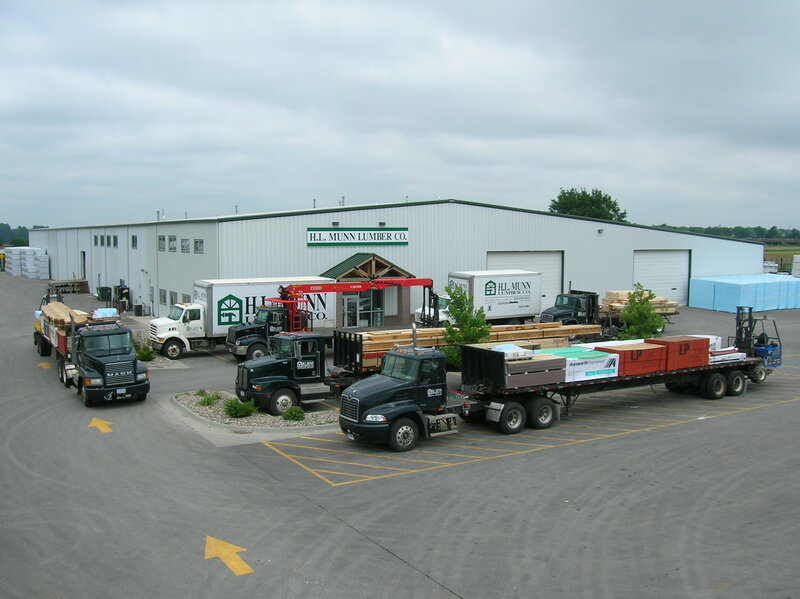 When it comes to lumber, roofing, siding and a full complement of building materials, Munn Lumber is central Iowa’s smart source!